Carlton Reid’s ‘Roads were not built for cars‘ book has done blindingly well on Kickstarter, reaching 435% of its original goal by the time the campaign closed on the 20th April. This is especially impressive given Carlton has said that the book will be available as a free pdf download shortly after its formal release. Roads were designed for combustion-powered vehicles, and paid for by their users. Catering properly for those who chose to cycle takes space away from those in big metal boxes. Unfortunately step one is, in the main, completely untrue. Most of our road network has been hanging around for absolutely ages and was originally designed for cyclists, horses and trams. Carlton researches the role early cycling organisations played in improving the quality of the roads, and concludes that ‘motoring caught on more quickly because of the Good Roads campaigns by cyclists in the 1890s’. Glasgow has a particularly grim problem with traffic, with most of the routes in and out completely snarling up in rush hour despite also being burdened with an unpleasant series of motorways and flyovers. As a result, we are the proud owners of some of the worst air quality measurements in Europe – a delight for anyone with any form of respiratory problem. Thinking of Calton’s statement, I hunted around for some old maps of Glasgow to see how much the transport network has been adjusted to take account of cars. The answer? If you ignore the motorways and the new one way systems, there has been hardly any change. Here’s an excerpt of the city centre from Captain John Bayly’s 1865 OS map of Glasgow, hosted by the University of Glasgow here. Cars first starting arriving around 1900, so this is a good 45 years ahead of that. 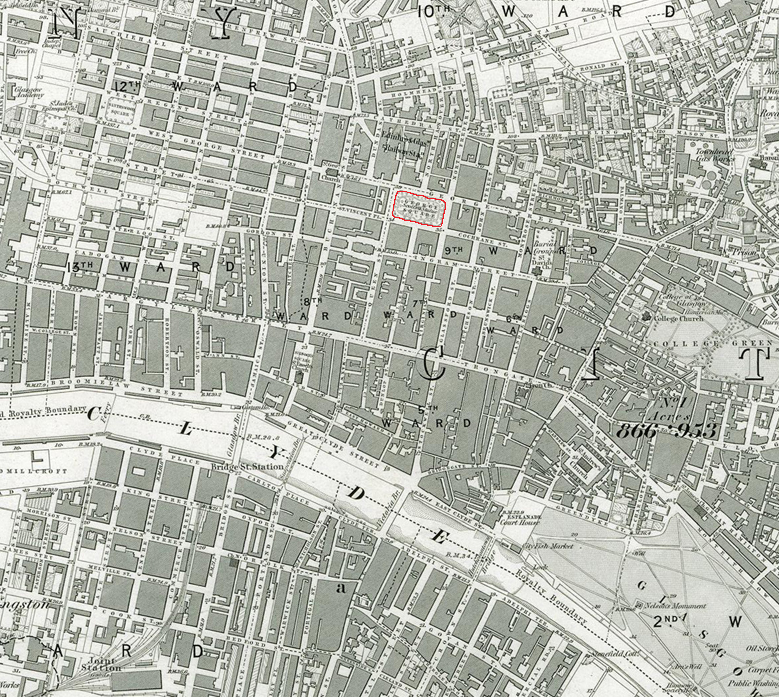 Glasgow in 1856 in 1:10560 scale, from the University of Glasgow’s online library. I’ve highlighted George Square in red, just to help you orientate yourself. 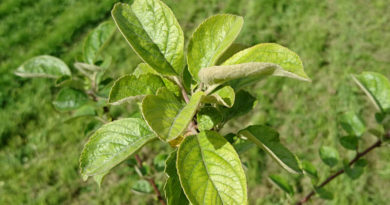 Click for a bigger version. 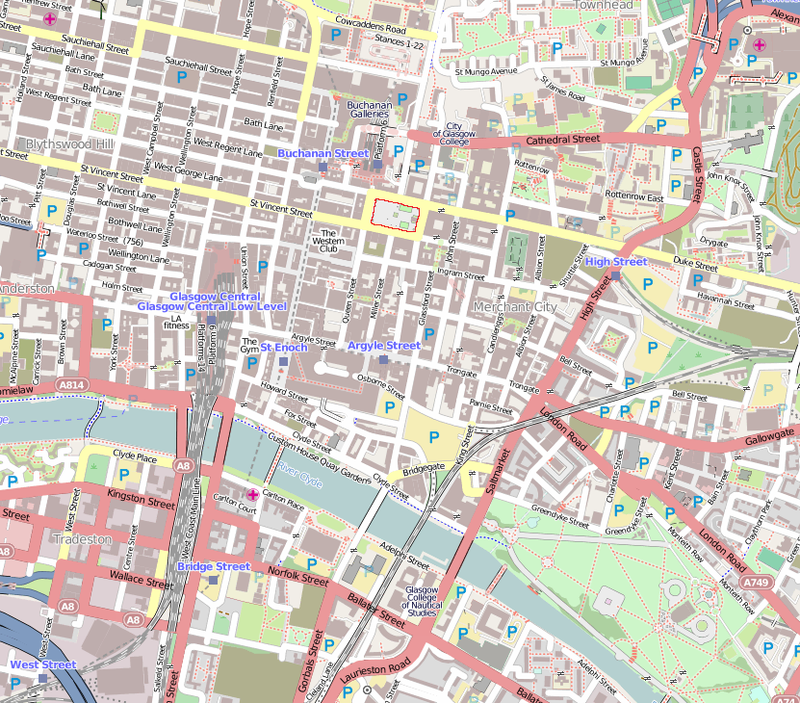 Glasgow in 2013, using OpenStreetMap data. I’ve tried to keep the scale as close as possible to that above, and have against highlighted George Square in red. Note that the sea of railway heading into Glasgow Central wasn’t there at all in 1856, although you can see the loop of rail heading up from the old ‘Joint Station’ at the bottom left of both maps. When I first thought up this post idea I was hoping to point out some similarities. It’s much easier to just list the differences though, as so little has changed! Top right above Cathedral Street we’ve gained a load of tower blocks. Glasgow Central rail station and its accompanying rail bridge has appeared, along with a second road bridge just to the west. For the centre of Glasgow though, that grid system of roads has remained pretty untouched. 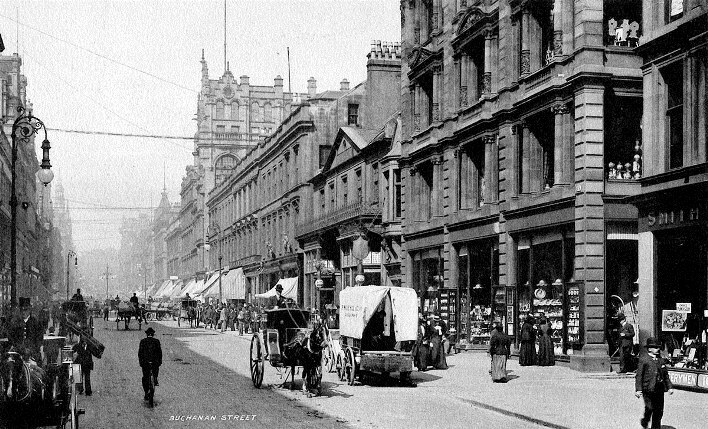 For example, here’s a picture of Buchanan Street around 1900 – note the bicycle! Here’s Buchanan St in about 1900, with John Reid’s mansion taking centre stage. 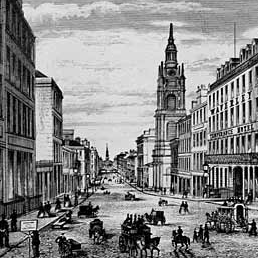 There’s loads more images of Buchanan St through the last few centuries at Glasgow History – click the image for a look. You can draw your own conclusions. Personally, it tells me that unless flying cars appear in the near future, the centre of Glasgow will remain gridlocked until people give up on modes of personal transport that aren’t roughly person-sized. Glasgow’s streets were designed for pedestrians, horses, trams and cycles, and no changes to those streets have been made apart from drawing a load of one way arrows in. Don’t expect your five metre long car to do anything apart from hold everyone else up. Great work. And glad you’re valiantly attempting to block out all of those urban motorways that ripped through Glasgow (but, by distance, are but a small part of the road network). 1865 just about pre-dates bicycles, too. That is, if we discount hobby-horses and certain Scottish blacksmith’s ‘bicycles’. City streets, in the main, were designed for general use, not just vehicular use. Motorisation brought many benefits, but it also brought many ills. And, as you point out, there ain’t enough space to accommodate more and more private motor vehicles. Cities don’t get better the more motor roads you build. if Glasgow’s planners and politicians think they do, I suggest they go pay a visit to Motortown in America. 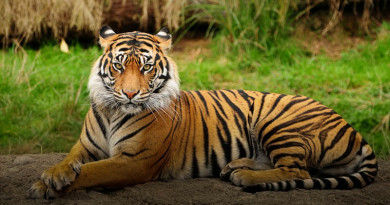 Detroit has lost much of its population cos it got too ugly, among other reasons. Cities need to be designed for people, not cars.